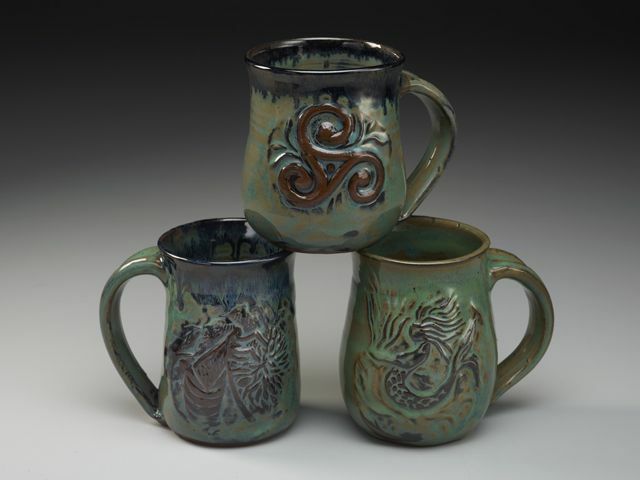 Potter and sculptor Marston Blow, was raised in Virginia, schooled in Ohio (in Video and Film Production), and trained at the Big Apple Circus (working with the likes of Cirque du Soleil and Circus Flora) She traveled all through Europe, South America, and across the states numerous times, but has settled in Asheville exploring her passion: clay. 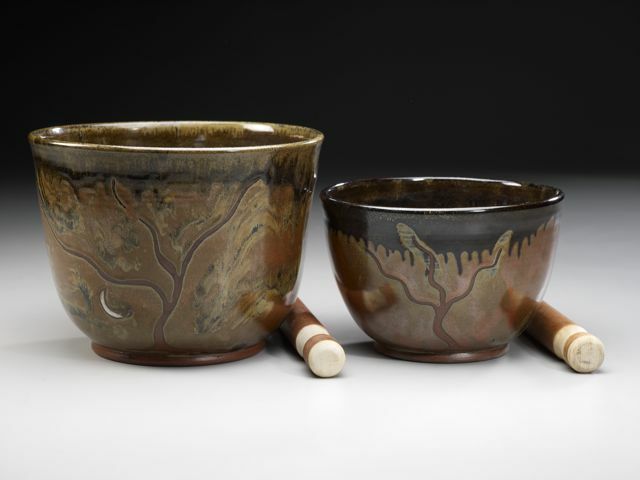 She is the creator of the ceramic singing bowl which resonates an enchanting tone much like the Himalayan and crystal singing bowls but with its own earthy signature. 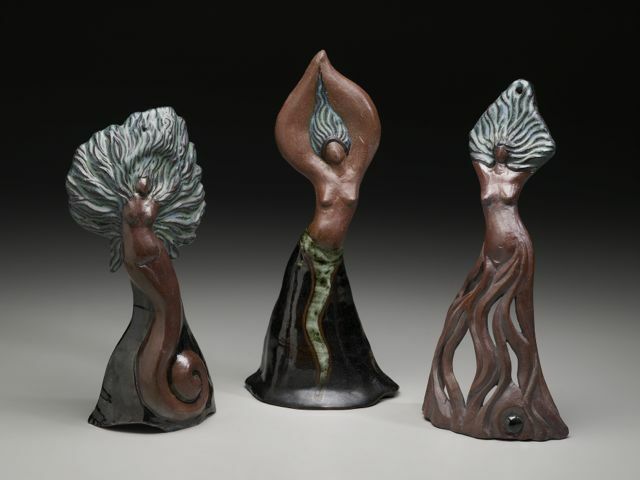 Her sculpture and pottery are unique and speak of the powerful and sensual side of Nature. Her artistic influences include: Celtic symbolism like trees, bees, moons and angel/goddess ﬁgures; Van Gogh; and Northwest Native American art such as that of the Haida people. Her main influence is Goddess based belief and symbols which comes out everywhere in her art and life. Marston worked for 18 years out of the River Arts District’s Wedge building, but now shares a private studio with a friend. She sometimes travels for pottery fairs and conventions, as well as other resonant gatherings, or for research. While living at Arcosanti, an architectural community in Arizona, she was introduced to nature based experiences like drumming, sweat lodges, the phases of the moon, sustainability and general planetary thoughtfulness. Her biggest transformation came after taking her ﬁrst Women’s Spiritual Journeys class with Kim Duckett.In late 2014 she left Asheville on a pilgrimage to America’s few Goddess temples to be of service and become recharged by the West, to return with renewed vitality.